A corruption case filed against three former San Francisco political insiders remains stalled while prosecutors and defense attorneys wrangle over a gag order that would prohibit both sides from sharing the evidence with the public. San Francisco Superior Court Judge Edward Torpoco today denied a prosecution motion to impose a protective order in the case against former Human Rights Commissioner Nazly Mohajer, former Human Rights Commission staff member Zula Jones and former school board member and political consultant Keith Jackson. 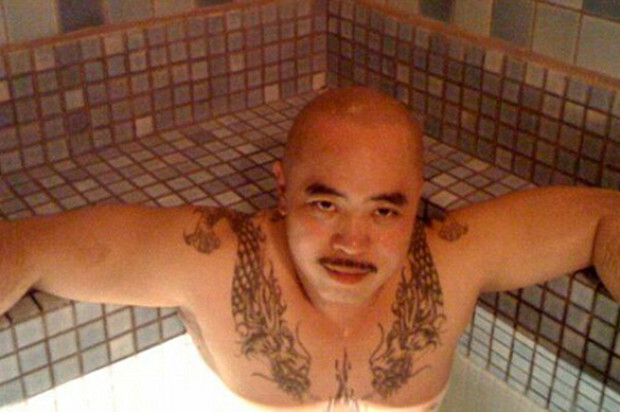 Prosecutors sought the gag order because the charges against the trio originate from a larger federal investigation that resulted in the prosecution of Chinatown gang leader Raymond “Shrimp Boy” Chow, state Sen. Leland Yee and Jackson, among others. A gag order was imposed in the federal case and prosecutors argued that one is still needed to protect undercover agents, witnesses and innocent parties named in the investigation. Defense attorneys representing Jones, Mohajer and Jackson strongly opposed the order, however, arguing that it related to a larger, separate case and impaired their ability to effectively investigate the case. In addition, they noted that prosecutors announced the charges in the media and much of the information from the investigation has already been released by Chow’s attorneys. Torpoco told prosecutors the federal court took precedence and they should come back once they had an order from U.S. District Judge Charles Breyer authorizing the release of the federal investigation materials and clarifying whether the gag order was still needed. Mohajer, Jones and Jackson were charged in January with four felony counts of bribery and one count of money laundering. Jackson also faces an additional felony charge of grand theft of public money and misdemeanor charges for campaign finance fraud. Jackson pleaded guilty in July in the federal case to one count of participating in a racketeering conspiracy to solicit bribes in the form of campaign contributions in return for political favors by Yee, and has been sentenced to nine years in federal prison. Defense attorneys said prosecutors have not yet given them any evidence against their clients, including an affidavit filed with the criminal complaint, because of the dispute over the gag order. As a result, Mohajer, Jones and Jackson have not yet entered pleas in the case. Adachi’s office is representing Jackson, while Jones and Mohajer have hired private defense attorneys. Attorney John Keker, representing Jones, today alleged in court that he understood the case against his client was based on allegations from an undercover agent who has since been fired and discredited. While not specifically responding to Keker’s allegations, Assistant District Attorney Kelly Burke said that media coverage naming possible undercover agents was exactly the sort of thing prosecutors were concerned about in seeking the gag order. “This is all stuff that appears to be based on guesses, suppositions and assumptions, and from what I’ve heard today a lot of it is false,” Burke said. Mohajer, Jones and Jackson, who are all out of custody on bail, are scheduled to return to court for entry of pleas on April 6.